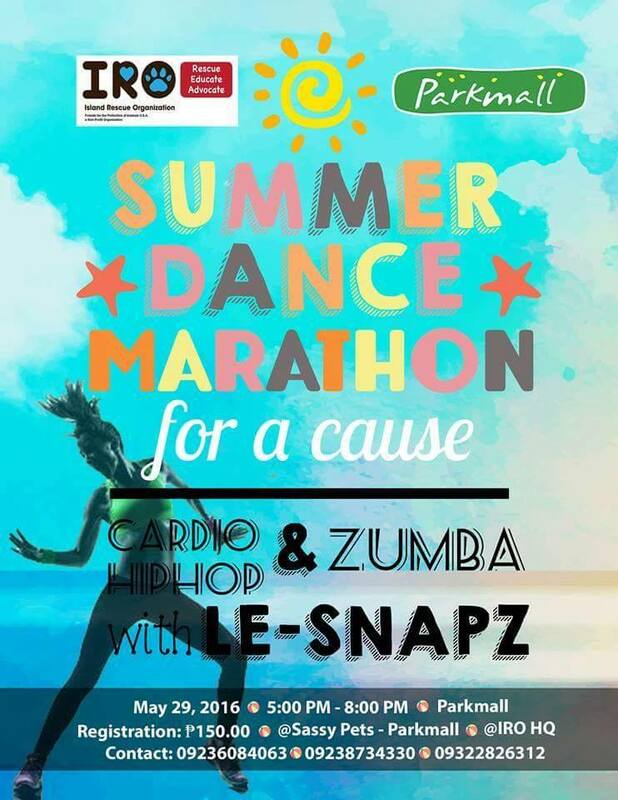 Get ur groove on and join us this May 29 in our Summer Dance Marathon for a Cause! For only Php 150 you get a ticket and a hand made IRO bracelet! Hear the beat starting at 5:00pm-8:00pm at Parkmall. Put ur dancing shoes on and dance ur way to fitness! See you! For tickets, contact 09328734330. The goals of the event are to promote the organization and its mission and to raise funds for IRO’s increasing medical bills due to the rising number of animals rescued. Dancing as a form of exercise has been a trend this summer and we would like to grab this opportunity in promoting the organization to a large number of people.